This year marks the 25th anniversary of the National Human Rights Commission (NHRC). The Commission, which draws its mandate from the Protection of Human Rights (PHR) Act 1993, has been mired in controversies since its formation. As the government seeks to introduce amendments to the Act in Parliament’s Winter Session, it is important to understand this piece of legislation in the context of its history. The Amendment Bill intends to strengthen human rights institutions in this country. But it falls short of this objective by some distance. Is the reform, then, merely an attempt to save the country’s reputation in international human rights fora? In 1993, the UN General Assembly adopted the Paris Principles on Human Rights. This led to the constitution of national human rights institutions in almost every country. Every five years, India’s human rights agency, the NHRC, has to undergo accreditation by an agency affiliated to the UN Human Rights Council (UNHCR). The Commission’s compliance to the Paris Principles is ascertained in this process, which is similar to NAAC accreditation of Indian colleges — better the grade, higher the benefits. Thus, if India gets an A-status, the NHRC can play a pivotal role in the decision-making processes of the UNHRC and other important international bodies. In 2016, the accreditation agency deferred grading the NHRC because of the Commission’s poor track-record — especially, political interference in its working. But the agency was satisfied with the government’s commitment to introduce necessary changes to the Commission and granted the NHRC A-status in 2017. The PHR (Amendment) Bill, 2018 is an outcome of this commitment. While the Bill seeks to diversify the Commission’s composition, it falls short of bringing out substantial changes to the NHRC. 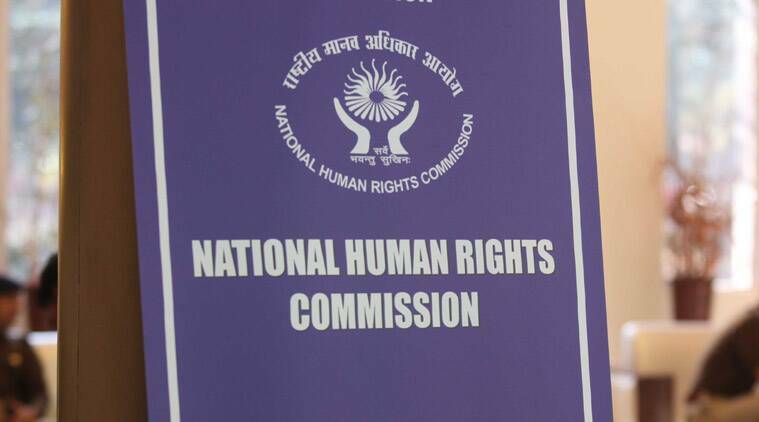 The NHRC is fraught with mischief at its very basis. The selection committee tasked with appointing the chairperson and the members to the Commission is dominated by the ruling party. It consists of the prime minister, home minister, Leaders of the Opposition in the Lok Sabha and Rajya Sabha, the Lok Sabha Speaker and the Deputy-Chairman of the Rajya Sabha. There is thus a need to diversify the selection committee. It comes as no surprise that the NHRC’s selection process is very obscure. Very often, the government does not publicise vacancies in the Commission. The criteria to assess candidates is also not specified. As a result, appointments to the NHRC have been fraught with disputes. All this can change if the government commits to greater transparency in the selection process. The strong representation of the judiciary in the NHRC has often been defended on the ground that the Commission’s work is quasi-judicial. However, this is pertinent to only one of the 10 functions of the NHRC, as described in the PHR Act. The NHRC has also defended the strong presence of the judiciary on the ground that it creates trustworthiness, especially in the eyes of the government. But such reasoning fails to explain the long pendency of the Commission’s requests for additional funds. The much-needed diversification that the Amendment Bill seeks to introduce could be realised through the inclusion of civil society members and academicians with proven track record in the improvement of human rights. The NHRC could certainly benefit from the grass roots level experience, widespread community outreach and the expertise of these organisations or individuals. However, the above-mentioned changes would be of little consequence if the investigation mechanism is not rectified. Police officials investigating for the NHRC are sent on deputation by their forces. Their allegiance lies with their home cadre to which they return after their tenure at the Commission is over. This conflict of interest restricts the scope of their work, as they often are charged with investigating abuse of power by law enforcement personnel. Adding officials of the Intelligence Bureau to the mix only muddies the water. These officials are not answerable to anyone, there is no parliamentary oversight on their functioning, they do not owe financial accountability to the Comptroller and Auditor General, and have often been accused of human rights violations themselves. The NHRC urgently requires officers of its own to carry out independent investigations, and the government should provide it resources for the same. The NHRC cannot escape the blame either. It does have powers to conduct its own investigation in cases where the Centre or state government do not respond within the time stipulated by Section 17 of PHR Act. However, the Commission has rarely used this power. A year after the Supreme Court called the NHRC a “toothless tiger”, the onus is on the government to bestow the Commission with more teeth.